In a previous article I described how in the professional era, Australian rugby let short-term success blind it to the long-term structural changes that needed to be made. This issue extends beyond playstyle and skillset, and also includes the identification and selection of talent. Super Rugby is a fully professional competition where there are 4 Australian teams (5 previously) competing for players from only 2 quality domestic competitions in the country, these being Queensland Premier Rugby and the Shute Shield in New South Wales. Super Rugby teams are also limited by a $5.5 million salary cap which incentivises the identification of undervalued talent. A certain number of foreign players were previously allowed to fill any gaps in team composition, but this policy went out the window with the Force. 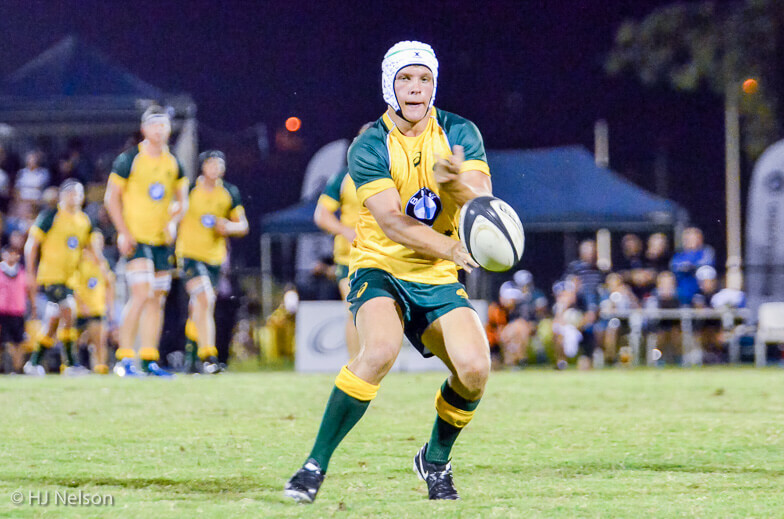 Nowadays Rugby Australia usually only allows foreign signings if they can potentially become eligible for the Wallabies through residency (i.e., if they haven’t already played for another international team). Notable examples of this include Isi Naisarani and Taniela Tupou. In the early days of professionalism when Super Rugby was the Super 12, the Reds and the Blues were the dominant teams from Australia and New Zealand. The Blues won the competition in 1996, 1997, and 2003, while the Reds topped the table in 1996 and 1999 (though sadly were unable to survive the knock-out rounds) after winning the shamateur Super 10 in 1994 and 1995 and the Super 6 in 1992. This is hardly surprising considering that these two teams had the greatest rugby heartlands in their respective countries that they could immediately draw upon. In recent years, results for these once-great teams have dwindled. The Blues’ best result since 2004 was 4th (on two occasions), and they have been averaging double digit placements since 2012. The Reds managed a brief resurgence under former Wallabies coach Ewen McKenzie in 2010-13, but that period aside have not placed better than 10th since 2004 and not better than 13th since 2014. Regarding the situation in NZ and with the Blues, I found this article by Jared Walton on stuff.co.nz very interesting. Though published in November 2017, Mr Walton ran the numbers and found that 50% of the Crusaders squad went to school in their region, 40% of the Chiefs went to school in their region, and only 13% of the Highlanders went to school in their region. Only the Hurricanes (61%) and the Blues (69%) had more than half of their players come from their own region, with 6% of NZ Super Rugby players being schooled overseas. The Highlanders have recruited beyond their boundaries. The Blues have consistently been the worst NZ team over the past 7 years while the Highlanders, Hurricanes, Chiefs, and Crusaders have monopolised the trophy for 6 of those years. The Otago/Southland region represents less than 330,000 people yet has managed to win Super Rugby. This has only been possible due to their talent for identifying young talent from other regions, while the Auckland/Northland region with almost 2 million people has consistently received the wooden spoon despite having more Super Rugby players attend school there (28%) than any other NZ region. 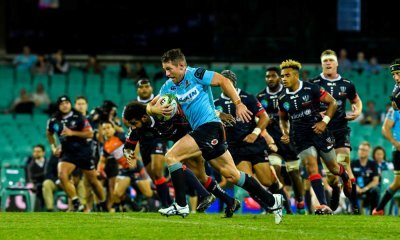 Unlike in NZ where rugby is the dominant sport nearly everywhere, Australia has two Super Rugby teams placed outside of its main rugby regions. The Brumbies source 29% of their players from Queensland and 26% from NSW, while the Rebels source 27% of their players from each state equally. This means that no Australian Super Rugby team has less than 54% of their players come from these two states. The Waratahs have only 2 foreign-schooled players in their roster (6%). Meanwhile the Brumbies have 5 (13%) while the Rebels and Reds each have 6 (16%). There is 1 Western Australian player in each squad except for the Rebels who had 3 (8%) as a legacy of the Force’s closure. 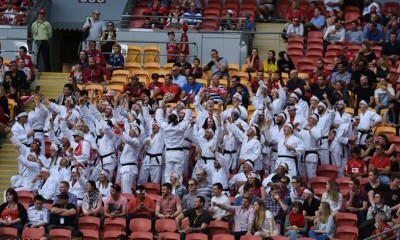 The Waratahs have 1 ACT-schooled player while the Rebels have 2 (6%). The Brumbies also have 3 Victorian players (8%). Adam Coleman is the only Tasmanian player in Super Rugby and he comprises 3% of the Rebels squad. As for the major provinces poaching each other’s players, the Reds have two NSW-schooled players in their ranks (5%) while the Waratahs have 5 Queensland-schooled players (14%). In total, there are 54 Queenslanders, 45 New South Welshmen, 11 Territorians, 8 Victorians, 6 Western Australians, 1 Tasmanian, and 19 foreigners playing for Australian Super Rugby franchises. In a truly professional free market, you would expect only a slight preference for players to play for their home franchise due to fringe benefits such as proximity to family, geographic familiarity, club loyalty, moving costs, etc. The rest would be split more or less evenly. In reality we see almost the opposite. More than 50% of all Queenslanders, New South Welshmen, Territorians, and Victorians in Australian Super Rugby play for their home franchise. Approximately 75% of the squads of the 2 home provinces are made up of players from that province. What this indicates to me is that Australian Super Rugby franchises are not very good at identifying talent and convincing them to relocate. 6/8 of the most recent Super Rugby titles have gone to teams with at least 50% of players from regions other than their own. I wouldn’t say that there is a clear correlation but the obvious fact is that, all else being equal, a team with the best players from the country is going to beat a team with the best players from their state 9 times out of 10. 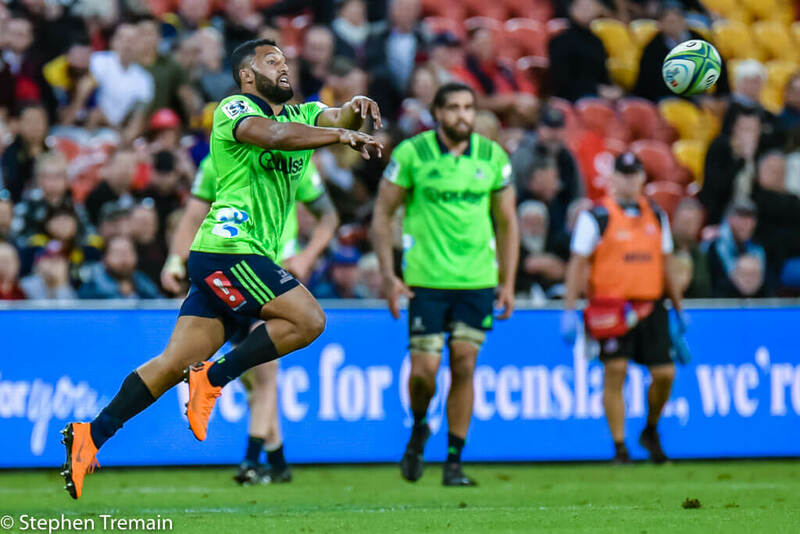 Franchises like the Highlanders and the Brumbies have no choice but to poach talent from other states in order to stay competitive due to the small region that they represent, but this shouldn’t preclude other franchises from doing the same. 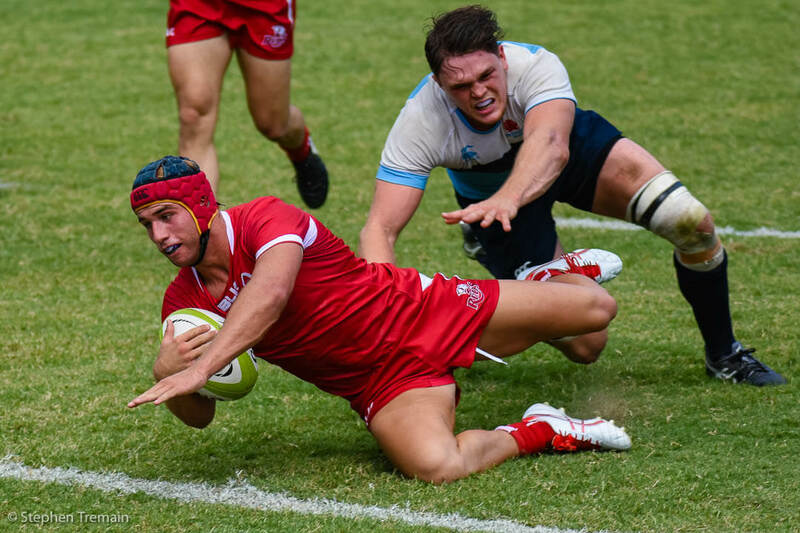 The Reds in particular have not only the highest number of players from their own region in their squad, but their ranks are rounded out with twice as many foreign players as non-QLDer Australians. I am not sure if anyone at the Reds is observing Shute Shield games and trying to sign the top talent there, but they certainly should be. There is an urgency to this need. Top European clubs have eyes for Australian talent, and it is well-documented that many Australians are now playing in the top British and French tournaments. Even closer to home, talent has been let slip to the Kiwis who have been sending them back our way with Super Rugby trophies in hand. 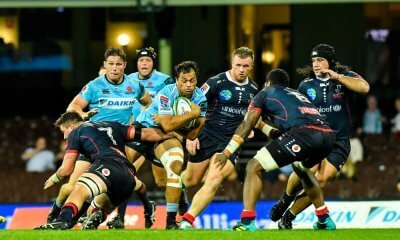 Players like Pete Samu and Michael Alaalatoa featured prominently in the Shute Shield and were recognised for their ability by the Crusaders, and for as long as this continues to happen we can continue to say that Australian rugby is doing a poor job at recognising the talent within its own borders. Perhaps an even more worrying observation to be made is that much of the young talent that is signed is then hoarded and underutilised. Queensland flyhalf Mack Mason was signed by the Waratahs despite having Bernard Foley and Kurtley Beale on their roster. He has received only 2 caps from the bench in over 2 years. His Churchie teammate Kalyn Ponga and switched to NRL and plays 80 minutes every week, albeit in a different code. And who can blame him? If Ponga had stuck with Union he’d probably be running water out to Bernard Foley every week. Similarly in Queensland, Sam Greene’s Premier Rugby form forced his signing by the Reds. He was the competition’s leading point-scorer in 2013 with 212 points and broke Elton Flatley’s single-game point-scoring record in 2015 with 33 points. Just like Mason, Greene was repeatedly relegated to the bench or the wider squad in favour of Jake McIntyre, who struggled with the Super Rugby standard of play before eventually departing for France. Greene never got his chance and also left Australia, this time for Japan. The Reds have since tried forcing Hamish Stewart into the playmaker role where he has never looked comfortable. Coach Brad Thorn seems to recognise this and continually has him share duties with Bryce Hegarty and previously Jono Lance, but a simpler solution is to simply identify, select, and play the best talent in the first place. Interestingly, both McIntyre and Stewart were rushed to Super Rugby straight from schoolboy/u20’s rugby with very little club rugby under their belts. Age-grouped rugby is a different beast from the adult game, and not everyone makes the transition successfully. It’s likely that a few more seasons in club rugby would have done McIntyre and Stewart some good, and in the meantime any of the current top flyhalves from Premier Rugby or the Shute Shield could probably have done a better job. In short, the Australian Super Rugby franchises are doing a poor job of identifying talent from only two genuine feeder pools in the country. More than 20 years after the advent of professionalism, teams still prefer players from their own neck of the woods. Franchises will still sign and play untested schoolboys while hoarding and underusing skilled club players. Though this also signals the death knell of player tribalism, the professional era requires clubs to take advantage of the free market of players by competing to properly identify and sign adult talent. If Australian clubs don’t start doing this soon, they will struggle to compete with the New Zealand free market despite being able to draw from a much larger pool of adult players. Having watched ALOT of rugby including all the junior programs I was laughed at when I suggested Mack Mason would/could be a better option than other up an comers at 10 as a playmaker. 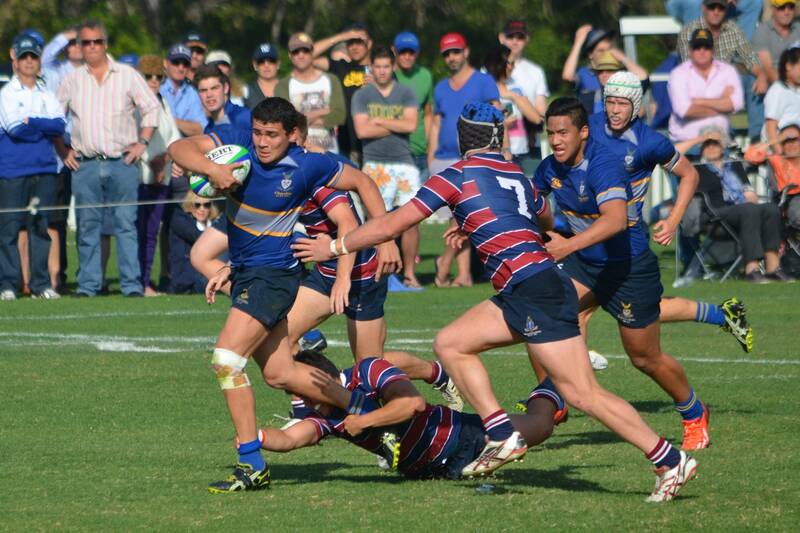 With sight on future potential as a wallaby! That included Hamish Stewart, who is a player that not only has stagnated at super lvl, he’s actually holding the Reds back. Either by his lack of actual playmakimg or even worse. … the consistent backing he gains from coaching and even supporters and fans here who are desperate for him to come good. That hurts the team and other players coming through…. .players we all know will never be afforded the same THREE years of trial and error! Mack Mason is suffering tremendously being stuck behind a severely underperforming Foley at the Tahs. These two players are perfect egs of the poor player spotting and then poor follow through in some Aus rugby clubs! Alas, the Hamish Stewart situation is self inflicted…we went “all-in” with a lad that isn’t really a flyhalf because of poor man-management skills. Ironic that the photo used is of Perese as he has “jumped ship” and therefore unsighted this season….punishment for leaving the choir? If a player comes up through the rugby ‘nursery. (eg private school system…) and sees all this BS going on, why wouldn’t he sign an NRL contract..? Yeh…while it pains me to watch Quade in blue, I also feel for Stewart (and DPA…) as they would have benefited from having a player like Quade around. Since his earlier indiscetions, I would suggest he has been really professional in the way he has gone about his rugby…and didn’t spit the dummy when left to play Premier Rugby while the Reds floundered. I’ve always wanted QUADE to be in RED……. but I still prefer him in Gold if it means he’s in blue atm. And he certainly should be the Wallaby 10 on form all year so far! QED (Thus it is shown) or spot on mate. Hey, the poor kid title is owned by Cooper. Nah Cooper is a big boy. He has handled himself with extreme aplomb…. .these young fellas need all the help they can get. No player starts out complete…… I truly feel sorry for Hamish Stewart and the garbage revolving doors he’s banging through! The Paresee thing is in my mind the same as the Naivalu deal. One I foretold would happen. Under a 1focus minded coach determined to use 2nd string playmakers ….. it’s no wonder the seriously talented backline players don’t see an immediate future playing in that scenario. 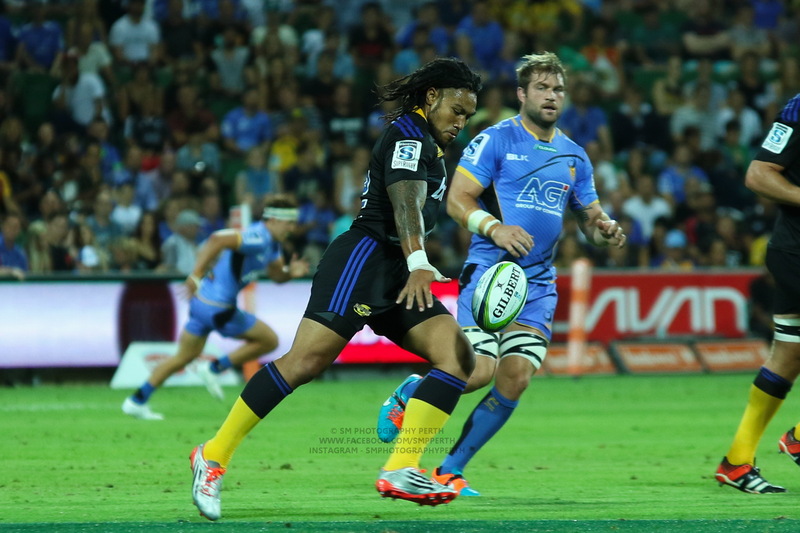 Even Kerevi only signed a one year deal….. .despite what looks like an attempt too woo him by making him captain! Thanks for a fact-full analysis. Agree with your opinions and am very cranky at the lack of game time for Mack Mason. Seriously, after all his bench time who knows how good or bad he now is? Very poor talent development by NSW. The other issue you nailed is the time spent in club rugby by school leavers. A difficult situation (see Angus Crighton’s reasons for not staying with rugby) but surely a creative solution can be found. There are a few possible solutions off the top of my head. Maybe have RA mandate at least 2 seasons of adult club rugby (some flexibility for rotation/injury/etc so maybe 1.5 seasons worth of games – about 30 will do) for under 21s before they become eligible for selection at Super Rugby level. Or have RA require that any Super Rugby player not receiving at least 40 minutes of game time per 240 minutes (or some similar value) be allowed to play club rugby. Possibly even have RA apportion some money from their budget for promising under 21 players in club rugby while they develop their skills to keep from giving up the sport/switching to a different code. It just wouldn’t work, you’d lose so much more talent than already is happening to the nrl, NZ or places like Japan. I think the issue more is with the lack of opportunities available, through having one of the shortest professional league seasons. I agree with this too. There are currently 144 Australian Super Rugby squad members. NRL rosters are capped at 29 and there are 20 teams, making for 580 professional positions. If all 4 Super Rugby teams play then 96 players are getting a chance at playtime while if all 20 NRL teams play 340 players get an even better chance. The only way to increase our numbers would be to add more teams, and the only way those teams would be competitive is if the other nations we’re competing against also added more teams. This is why I think a trans-Tasman league would be good. In the meantime though, we can at least secure some of those players if the Academy structure is utilised properly. I hate that most of the Australian teams don’t use the bench well. Its often 19 players (4 subs on average with more than 10 mins- just a broad observation from the wkend) playing 23 in most cases. We don’t seem to understand that the bench is no longer just cover for injuries – They are players that should be used as part of the strategy – they shouldn’t be 12th men or pine riders!!!!!!!!!! All the while p*ssing money away on overrated big heads like O’Connor and Harmichael. Thanks Cameron! Great work again. 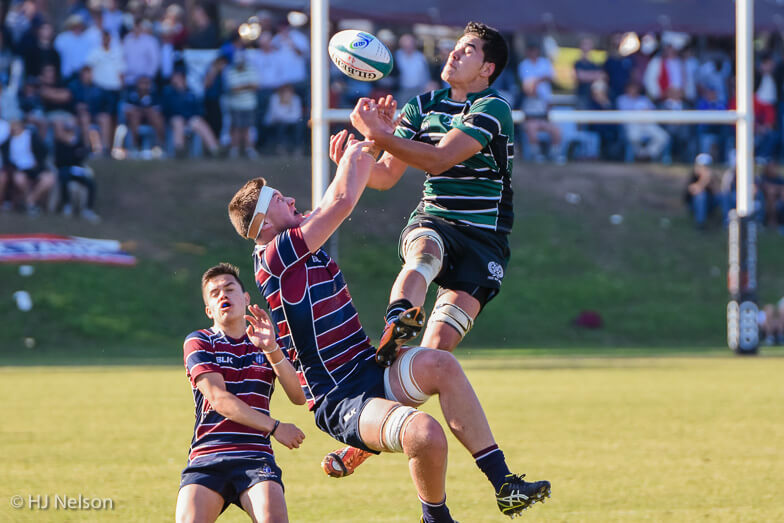 There was some interesting discussion on The Rugby Ruckus last year around how the Super franchises all got rid of their state academies at the same time and how this coincided with our ‘depth’ problem. Essentially compounded the pathways problem as the Super franchises started signing and hoarding schoolboy stars who never got a chance to go on and play club rugby against seasoned pros. In the old Academy model you’d train full time with the state academy AND then go to club training like everyone else and play club rugby on the weekend. So you had the high performance analysis and treatment from the Academy with more traditional training and game time with the clubs. Sounds like a great approach to me! I believe Queensland were the first to officially bring back their academy and things like the Tahs ‘Gen Blue’ are similar if not quite the same as the old model. Certainly this mess with the pathways has contributed to trouble talent spotting. Academies are probably the best way to keep young players in the sport while also developing their skills in the adult game. I think RA also needs to have more of a hand in these things but at least they exist again, though I’m not sure they’re being utilised correctly. Weren’t the Academies abandoned at the ARU’s behest? Because they wanted to go to a national model, where they held the academy..? Eventually the states realised the error of their ways in relinquishing control to a body that simply wasn’t capable of catching enough talent in the national academy. They weren’t ever going to pay for players to relocate to their central location. And whilst the idea of having a group from whence all SR teams could draw players as needed in times of injury wasn’t all bad (because it meant there was definitely quality cover for each position, no guaranteed thing with individual academies), it wasn’t cheap or easy for the players. It’s complicated thanks to the existence of state and national unions with overlapping and competing interests. But the states have their Academies back now and RA still has certain high performance units with similar functions so between all these bodies, if the talent scouts are actually looking at club rugby rather than just schoolboy/U20 rugby, the model should be working. I think it’s the latter stage that the issue, because the Academies/scouts seem to ignore mid-20s club talent in favour of untested teenage talent. I agree the whole academy system is complicated. I was just pointing out that it was something the ARU (correct name at the time) actually took control over and effectively ruined in the last decade. They’d been working ok, but I think it might’ve been a cost saving measure, to reduce duplication of skills, rolls, etc. It’s long been discussed that, too often, whether or not you’ll wear Gold is determined by whether or not you made the U20’s squad, which is determined by whether you made schoolboys rep (not just opens, but all the way down to U13’s), which is determined by your school. Which is crazy. Something like 90% of the kids at Craven Week as U17’s weren’t amongst those who were there at U12’s. Eben Etzebeth was a 150cm tall winger in U15’s, now he’s a 204cm behemoth and one of the best locks on the planet. Scott Fardy came through club. I completely agree that our focus for talent spotting has often been too narrow. Too narrow in focus at a young age, and completely ignoring alternate pathways. That’s not to say we can afford to give up on kids who are in that narrow focus, that we should be happy to see those kids sign for other codes. But it’s to say that they’re not our only future, unless we are stupid enough to ignore those other pathways (a level of stupidity which we usually achieve). I differ very slightly. I think they are spotting plenty of talent but they just can’t develop it. They are only really spotting schoolboy and U20 talent, when they should be spotting club talent and letting the schoolboys and U20 have some time in club rugby in order to develop them. The Tahs have improved at this under Gibson but even then only with talent within their own borders, and there’s still a long way to go. I think Andrew Deegan is the most promising young No 10 playing in Aus. IIRC he was also a schoolboy and U20 star but because of lack of opportunity or deficiencies in his game at the time, he went West where presumably he has been able to hone his skills at club level while getting good experience with the Spirit/Force along the way too. Maybe the West offers a good path for young stars to develop into top class players. I think a similar path is being taken by Lloyd (prop), Lee-Warner (lock) and Ferris (flanker) right now. I also really like the look of Deegan at the Force and have been disappointed at the lack of discussion around him, probably because he doesn’t play in Super Rugby. There has been a lot of talk about Australian depth at 10 but with players like Deegan, Greene and Mason not getting any time it seems that the depth is there, it’s just not being used. I really have yet to see any evidence that Mason will make the grade at Super level. Watched a bit of him in SS last year, and was not impressed. Just another schoolboy who hasn’t grown into adult proportions. I haven’t seen him in years so I can’t refute you. You’re quite possibly right, but the promise is just too strong to not salivate over. Imagine a 10 with a genuinely strong passing game. We could do away with the dual playmaker system after all these years and put Hunt at 12 (or Kerevi at national level). I just wish he’d spent the last 2 years playing club rugby instead of waving to Foley from the sidelines. Isn’t that the point of the renewed push from the franchises around their academies or its is just a NSW thing? The Tahs have been running clinics involving nominated players from schools and clubs from memory right down to U14s. They had 3-400 kids in that age range over the weekend doing just that. Looking to run the kids through their skills and assess where they are currently at in order to identify talent. And with the schoolboys. They’ve opened that up to club players in the U18/17 age grades as well as of last year. Correct. As a means to expand the pool of talent identification. Not perfect and likely will take a few years but it progress nonetheless.